Noordsy's Food Animal Surgery, Fifth Edition is a fully updated new edition of the classic field manual on surgical techniques in cattle, goats, sheep, and pigs. Designed for easy, fast access in the field, information is presented using a concise outline style with information boxes, tables, drawings, and photographs to highlight and illustrate key points Noordsy's Food Animal Surgery is an ideal reference for veterinary students and clinicians seeing food animal patients. Beginning with chapters on general surgical considerations, restraint, and anesthesia, the book's main focus is on step-by-step procedures for specific surgical techniques. The Fifth Edition has been thoroughly updated throughout to provide a current resource, with additional information on welfare, pain management, and anesthesia. 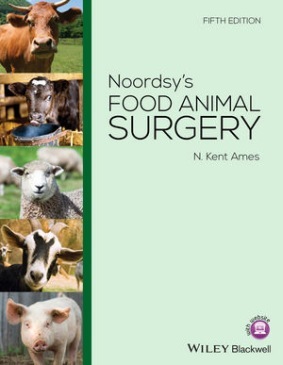 Noordsy's Food Animal Surgery is an essential purchase for practitioners and students wanting to develop or refresh their surgical skills.